The 2015 World Series of Poker has finally given us the November Nine, the last nine players remaining in the tournament and Main Event. Sadly, for all of you fans, we will have to wait three months until they meet up again in November and finish the anticipated No-Limit Hold’em game everyone wants to see. It would seem Patrick Chen and Federico Butteroni will have the hardest time at the start, as they could get forced out early on in the game if they are bullied by bigger stacks. As Joe McKeehen is the favorite to win, leading with almost twice as many chips as the next player, he could afford to be more aggressive from the start. It certainly will be a great final table, but as we should all know, poker hands can go either way, especially when that river card is turned over. 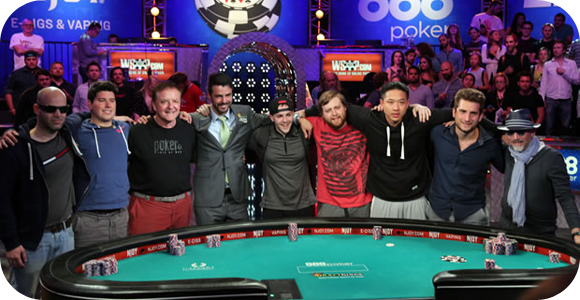 It is surprising to see how some of the more popular and well-known pro’s did not make it to the final table, which goes to show how hard the WSOP tournament can really be.